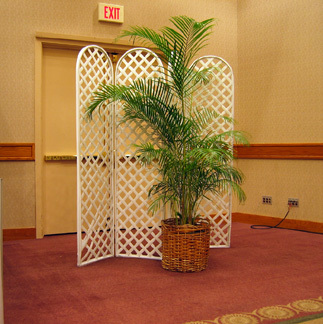 For some reason this plastic plant and screen were placed in front of the exit doors in the conference ballroom. Are they there to hide the exit in case of emergency? To beautify the dull room? Hard to tell.